St Catharines, Canada: Deena Spivak couldn’t hide her own butterflies. “ They are so nervous,” was her assessment during Ecuador’s shootaround before their encounter with the well- oiled hosts from Canada. The subject of her observation were twelve young men from Ecuador. They had arrived on Canadian soil to defend their national pride during a continent tournament in which eight teams converged in St. Catharines. Only four would garnish a place in next summer’s FIBA U19 Basketball World Cup . Unofficially, Spivak was the South Americans’ den mother throughout the tournament – always an ear shot away to assist. Officially she was the team’s attaché – a volunteer assignment given to her by Canada Basketball. Internalizing the pressures of the young players she was asked to oversee, during a week that hosted the continent’s elite basketball countries, seemed to be a workplace hazard. Ecuador qualified for the FIBA U18 Americas tournament after capturing third place in South America behind continental powers Argentina and the fast climbing Chileans. The FIBA U18 Americas Championship was the country’s first foray into a FIBA mainstream international basketball event since participating in the 1950 Basketball World Cup hosted in Argentina. Basketball has been alive in Ecuador but always shaded away by the national obsession and tribalism of soccer. During times of economic prosperity the Liga Ecuatoriana de Balancesto, Ecuador’s top professional league, was a common stopover for many talented American players and a place to garnish a reasonable pay cheque for Venezuelans , Columbians, Peruvians and Chileans. Recently, the country’s economic struggles have resulted in a brain drain of local talent while many other imported mercenaries are electing to take their talents elsewhere. 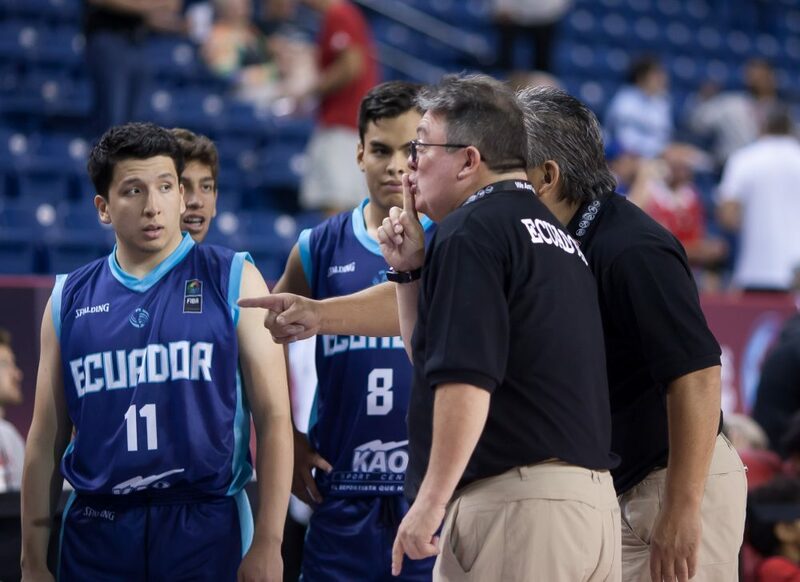 For Ecuadorian U18 head coach John Escalante , a high school Phys Ed teacher at an American school in Quito who shares his time as a provincial head coach, the task of recruiting 12 of the country’s best young players to compete with some of the planet’s more talented basketball players was daunting. No easy undertaking for a country split into 24 provinces in three distinct racial divides. Escalante , his oversized glasses that consumed his never ending frown and his fiery disposition, looks every part coach, teacher and master tactician. But he takes pride in the fact that all 12 players who represented Ecuador were Ecuadorian by birth right. A few countries in the tournament in St. Catharines had naturalized players who held passports of countries other than the ones they were representing on the hardwood. Luis Riascos, a tall lanky wing, has been an anomaly among his Ecuadorian peers. Riascos was verbally offered a scholarship to play in the United States during the South American qualifying in Lima, Peru. For Michael Moncayo it has been a life-long dream to take his impressive guard skills to either an American university or to Europe. While representing Ecuador in St. Catharines the 5’10” Moncayo filled up the box scores with an array of offensive stats and feared no guard on the other side of the ball. Moncayo thrived under the spotlight. 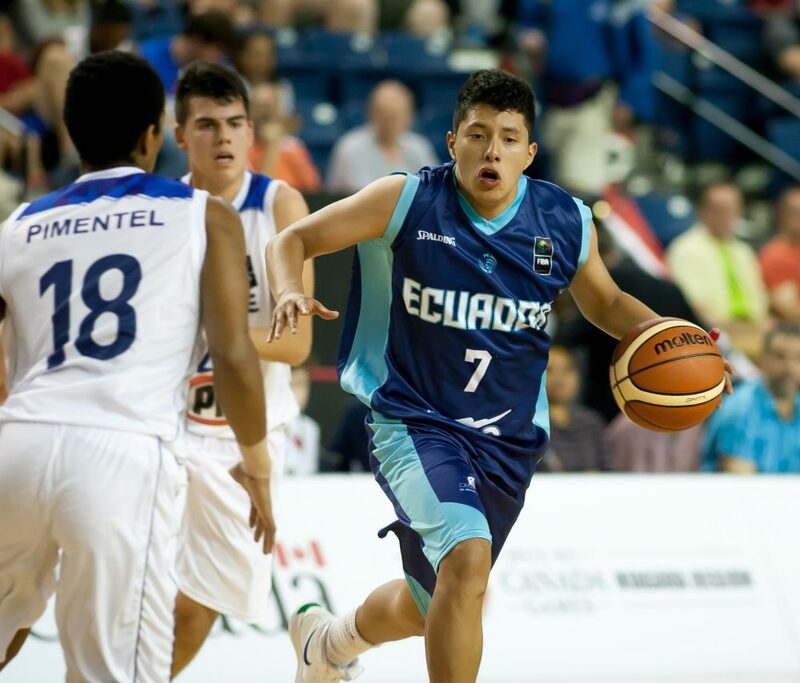 The 17 year old Moncayo and his 16 year old brother Mateo formed a significant part of the Ecuadorian team’s back court. Both brothers learned the game during their formative years from their father in Macas, a small agricultural community in the shadows of the rainforest. Basketball was well rooted in this community of just over 19,000 and the elder Moncayo was a basketball coach who shared his wealth of basketball experience with his two sons. Michael started playing competitively at the age of 8 while Mateo when he was 6 years old. Both boys were significant cogs within Club Iccan de Macas, a team that captured a national club title in 2017. Young Ecuadorian players are identified for national team duty through the ‘intercolegial’, a long high school tournament that is completed throughout each province. From those competitions players are selected by provincial coaches to compete in national team pools. Provincial coaches further select players as the final group suitable to represent Ecuador. The pool for the U18 team was moved to Quito where they were housed together and trained three to four days a week. Training sessions and scrimmages regularly attracted several hundred onlookers at Julio Cesar Hidalgo Coliseum – one of Ecuador’s two main basketball stadiums. For Coach Escalante he would liked to have seen more resources placed into his team’s preparation. He is concerned that basketball in Ecuador deserves more resources as compared to soccer which always seems to get the attention of the politicians. Escalante reported that basketball is a significant growth activity among young people within Ecuador’s changing sports culture. Six games in seven days and the boys from Ecuador failed to post a victory as debutants in their FIBA initiation. But the new pioneers from South America certainly left Canadian soil knowing that a return engagement to any FIBA competition is not out of the realm of possibilities for teams representing Ecuador. Their baptism by fire will leave a legacy for young Ecuadorian players to follow.